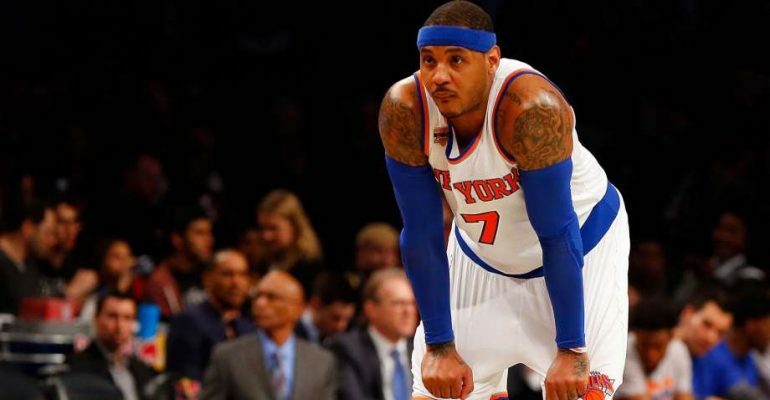 Carmelo Anthony has made it very clear that he is looking for a way off of the New York Knicks. 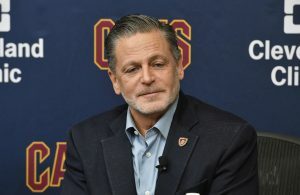 Earlier in the offseason, Anthony named the Cleveland Cavaliers as one of the few teams he is most interested in joining. Thanks to Kyrie Irving‘s trade demand, however, Anthony seems to be having second thoughts about a future in Cleveland. 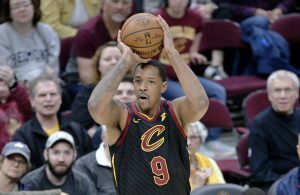 Anthony had listed the Cavs as one of the few teams he would’ve be willing to waive his no-trade clause for, but that is seemingly off the table at the moment. Some even believed that Anthony would be a piece in the eventual trade that got Irving out of Cleveland, but that too seems less likely now. Anthony’s unwillingness to waive his no-trade clause for the Cavs and the fact that the Knicks are adamant in not granting the 10-time NBA-All Star a buyout, makes it highly unlikely that we’ll be seeing Anthony paired with his longtime friend in LeBron James next season. Still, his waning interest in joining the Cavaliers is yet another sign that Irving’s trade demand has turned the Cavaliers from a clear contender to a team in turmoil.